Last week, the annual meeting of the Peace and Justice Studies Association was held at the Kroc Institute for Peace and Justice at the University of San Diego. 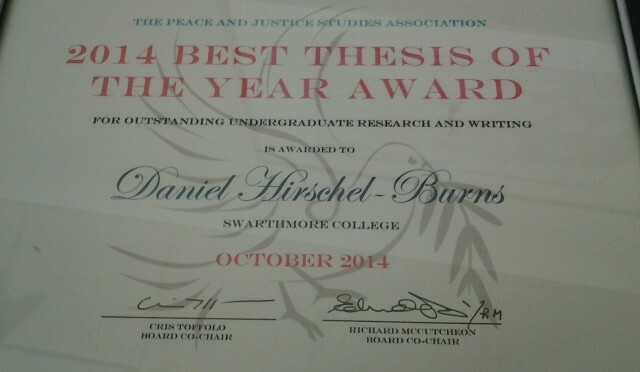 At the closing banquet, Daniel Hirschel Burns ’14 was awarded the undergraduate thesis award. 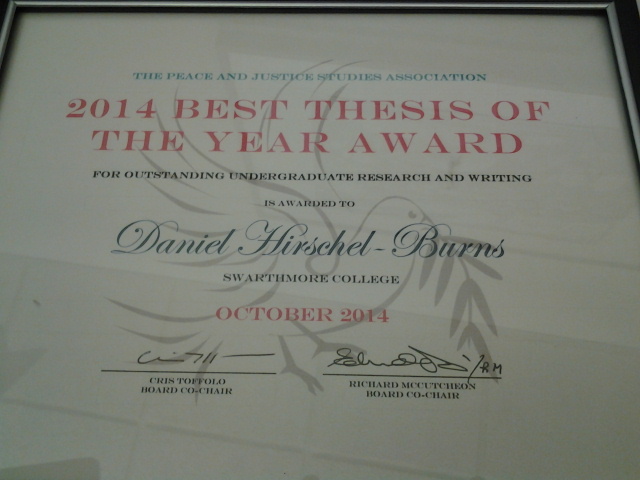 As Danny was unable to attend, Professor Smithey had the honor of accepting the award on his behalf. 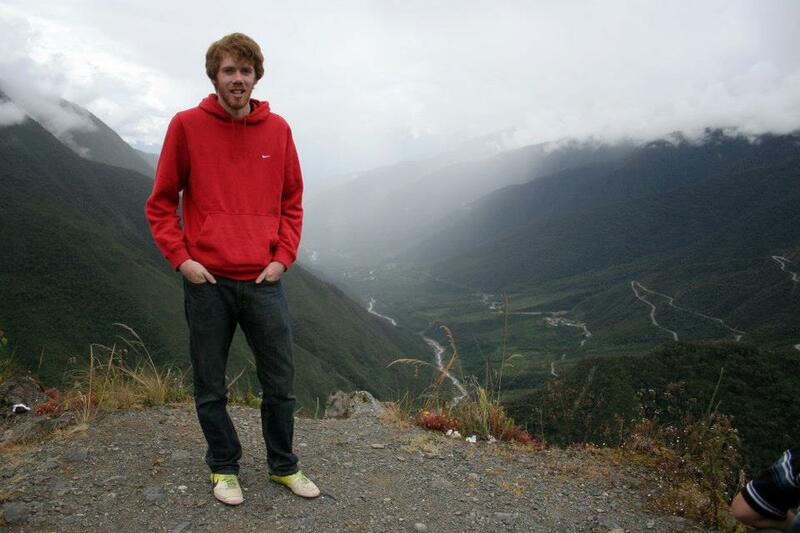 We offer our congratulations again to Danny for his outstanding and now internationally-recognized work. 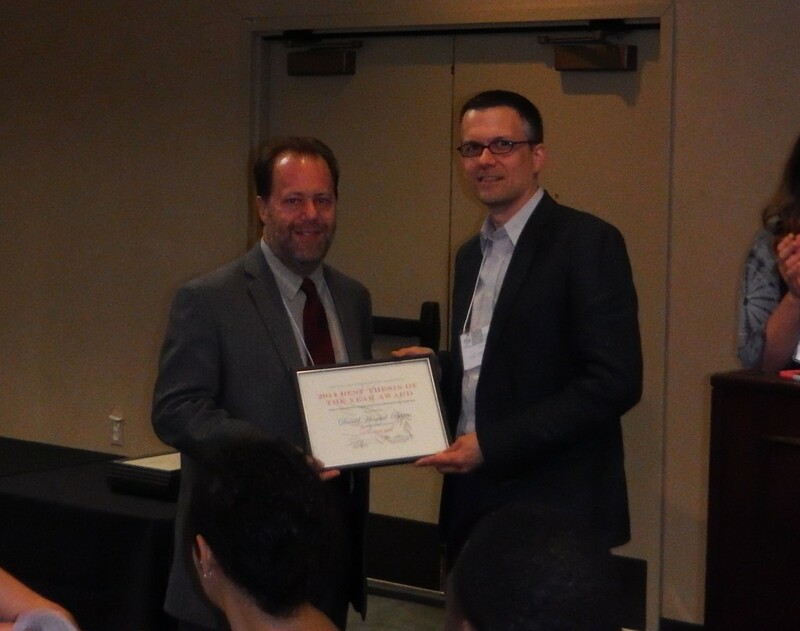 Prof. Lee Smithey received the 2014 Undergraduate Thesis Award from Randall Amster, Executive Director of the PJSA,, on behalf of Danny Hirschel-Burns ’14. 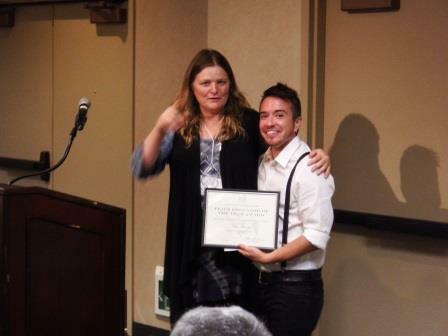 Another Philadelphian, Nico Amador, Co-Director of Training for Change, received the Peace Educator of the Year Award.